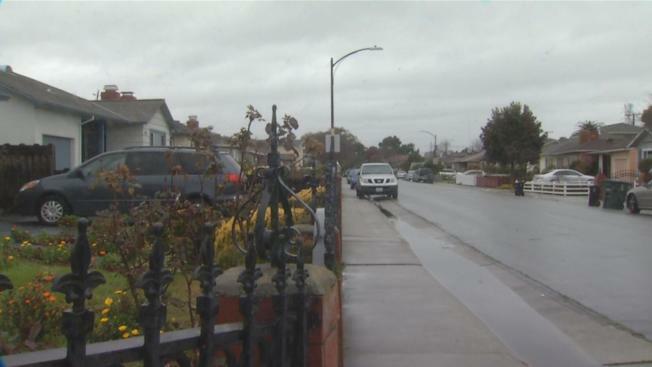 San Mateo police officers on Monday arrested a 24-year-old man on suspicion of breaking into single men's homes, groping them as they sleep, and then stealing their valuables. However, this isn't the first time the suspect, identified as Ismael Espinoza Vasquez, has been nabbed for inappropriate conduct. Police believe he fondled a man in 2014 at a 24-Hour Fitness. Monday morning's instances of sexual battery and theft occurred near the area of North Kingston Street and North Bayshore Boulevard, said police, who credited neighbors for reacting quickly and dialling 911. Responding officers apprehended Vasquez after arriving on scene and pursuing him on foot, according to police. Vasquez put up a fight and managed to injure an officer while he resisted arrest, but was eventually taken into custody and charged with multiple transgressions. Vasquez has been booked into the San Mateo County Jail on five counts of burglary, two counts of attempted burglary, three counts of sexual battery, assault on a peace officer, and obstructing/delaying a peace officer, police said. The victims were "shocked" by the "odd, disturbing crime," said Sgt. Amanda Von Glahn with the San Mateo Police Department. Ray Zamora, who lives in the neighborhood, was concerned by Vasquez's alleged crimes. It's "scary" because "if you're in your sleep, someone might do something to you," he said. Police consider Vasquez a sexual predator, but they fear his victim list could be a lot longer. Officers believe some men might not come forward out of embarrassment, especially if they responded to Vasquez’s advances, then found out they were later robbed. Police are urging men, who may have stayed silent, to contact them.